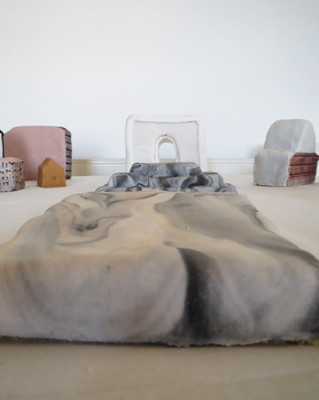 Emily Speed's interests lie in the connections between people and buildings, and the physical relationship of the body to architecture. 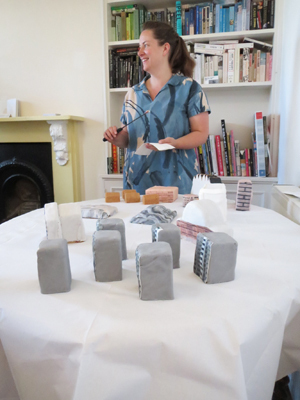 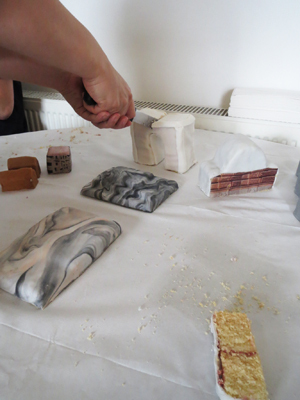 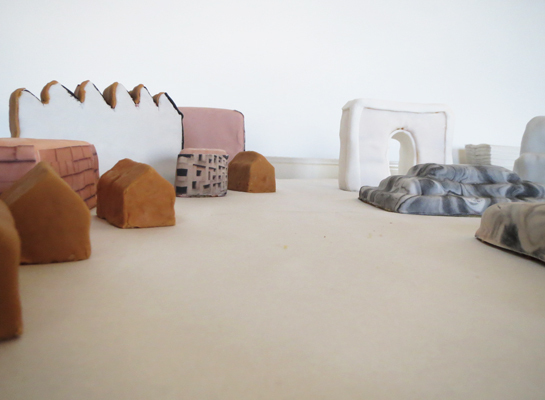 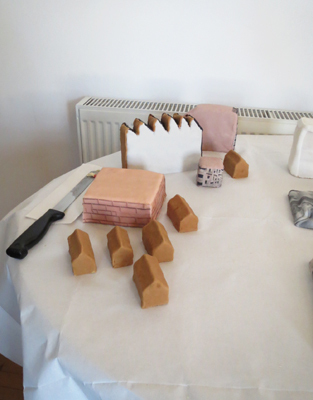 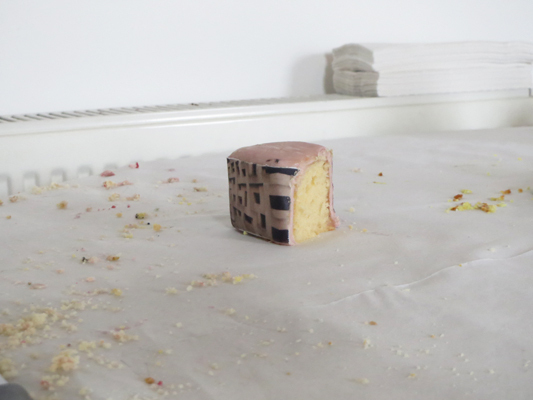 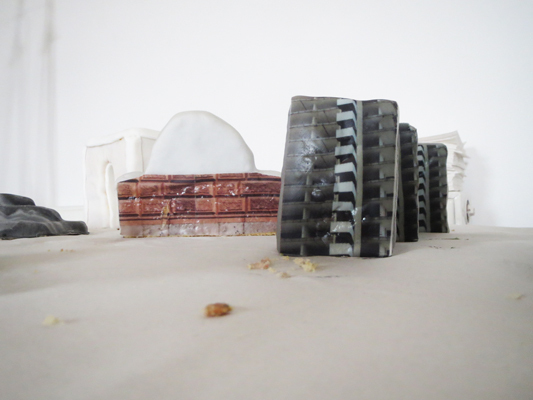 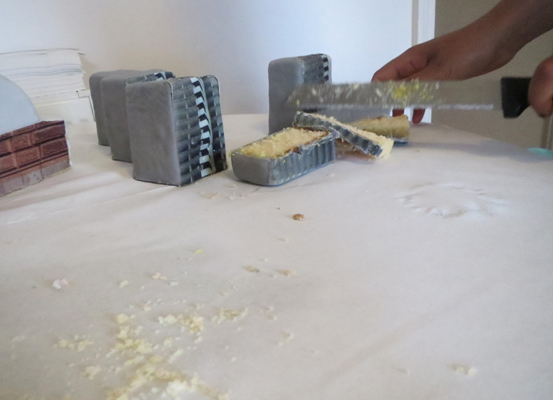 For her exhibition at 38b, Emily considered the significance of bombastic large-scale city planning on a personal scale in the domestic - and constructed a unique architectural model entirely from cake. 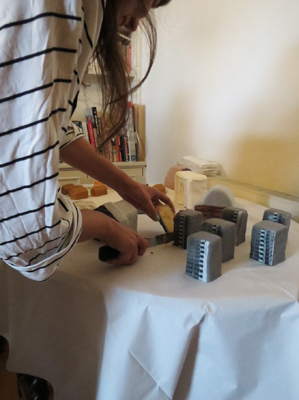 Over the weekend, Emily invited visitors to indulge in shaping the model city to question the role of planners and inhabitants. 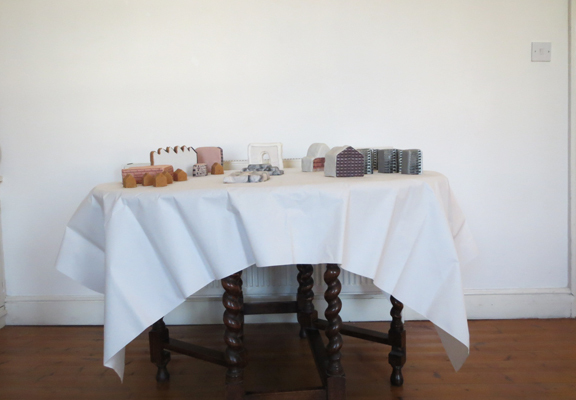 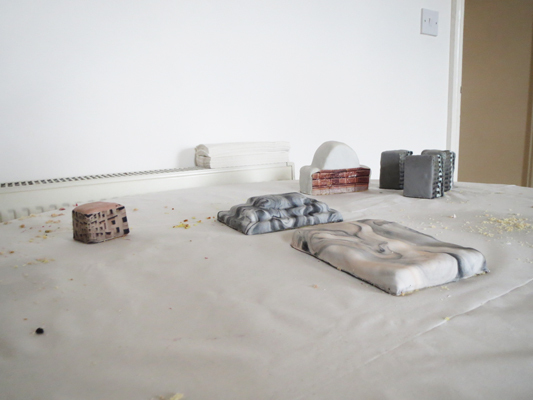 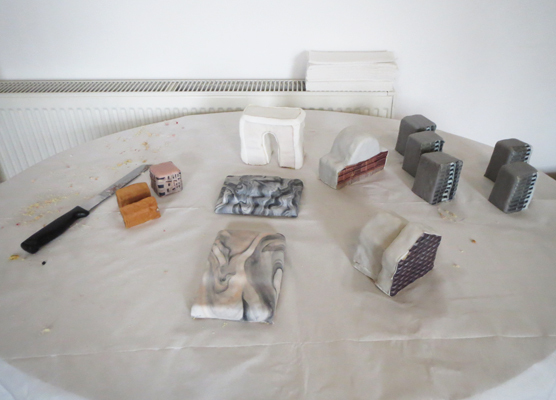 Addressing the gap between this imagined space in the miniature and the real experience of the actual place, Emily posed questions such as - can things like sick-building syndrome ever be predicted? 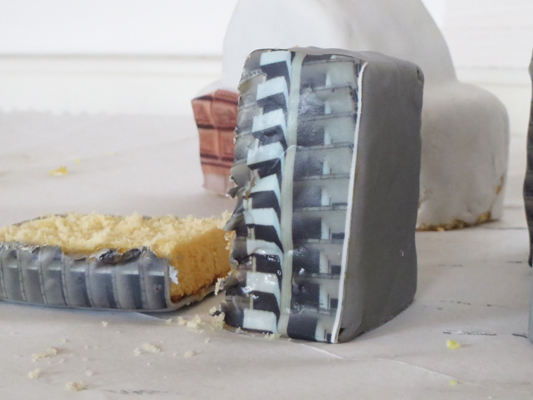 And what does it mean to eat a building? 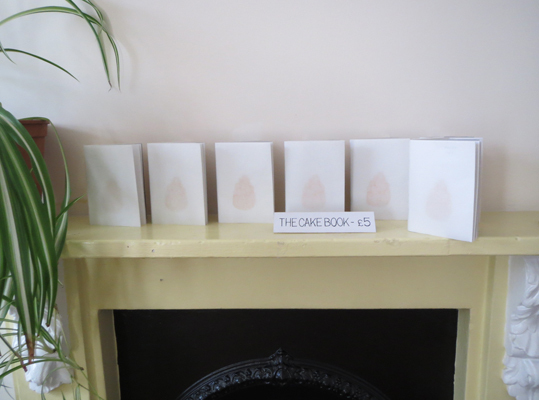 Emily produced a limited edition A6 publication The Cake Book for the exhibition, with contributions from Susannah Worth and Josie Moore, which is available to buy here. 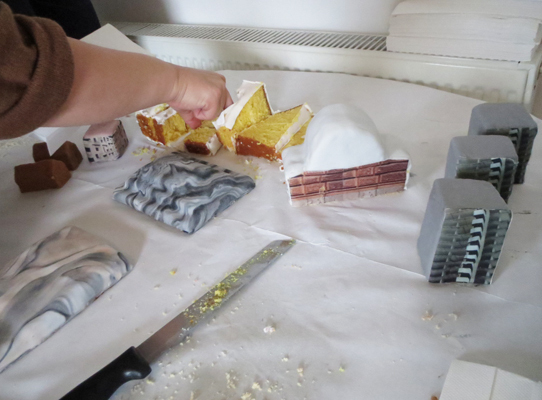 An afternoon of town planning over cake to discuss the roles architects, planners, and inhabitants play in shaping our buildings and village-town-city-scapes.